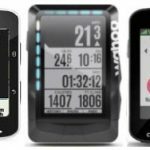 This post compares the Garmin Edge 520 vs 25, and includes an in-depth comparison of features in a chart. We hope this will help you decide where to put your money. This post focuses on these two because the Garmin Edge 520 has been hailed as pretty much the biggest upgrade in bike computers ever. Does it deserve this accolade? On the other hand, many people are drawn to the Garmin Edge 25 because it is small, super light, and relatively inexpensive, yet seems to have most of the super powers of the more expensive bike computers. Garmin claims the Garmin Edge 25 is the smallest GPS-compatible bike computer in the world. Unit Size (Width x Height x Depth) 1.9 x 2.9 x 0.8"
(4.9 x 7.3 x 2.1 cm) 1.6 x 1.6 x 0.7"
Compatible with Garmin Varia Vision? GLONASS enabled? (this is the GLObal NAVigation Satellite System, the Russian satellite navigation system) Yes Yes - amazing at this price point! So, the Garmin Edge 25 is pretty impressive, and it is cheaper than the Garmin Edge 520 So the question is, do you get much better features if you shell out for a Garmin Edge 520? So How to Decide: Garmin Edge 520 vs 25? The two bike computers appear superficially very different, given the huge size difference, and the fact that the 520 has a color screen while the 25 is black and white. However, the reality is that they share a remarkable number of features, as you can see from the table. So basically, the Garmin Edge 25 packs a whole lot of power under a tiny hood. Most remarkable is the satellite acquisition power of this tiny powerhouse. Find out why there has never been a better time to get a great deal on a Garmin Edge 520 than right now! Both of these devices offer GPS and GLONASS satellite acquisition, which means that they have more satellites to choose from, and can lock in faster. I know that Garmin Edge’s with only GPS can be frustratingly slow to lock in, so this is important. It was a very happy surprise to find GLONASS on such a relatively cheap bike computer as the Garmin Edge 25. Note: GPS and GLONASS are different kinds of satellite systems – the GPS was developed by the USA, and the GLONASS is Russian. 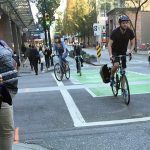 Speaking to more satellites enables bike computers to find a signal faster. Both the Garmin Edge 520 and the 25 offer ANT+ connectivity. However, note that Garmin offers a bike computer that is even cheaper than the 25 – the Garmin Edge 20 for around $130. The cheaper Garmin Edge 20 does not have ANT+. ANT+ is a wireless technology that allows your devices to talk to each other (like Bluetooth). When it comes to bike computers, this means ANT+ enables you to hook up the bike computer on your handlebars to a cadence sensor on your wheel, and a heart rate monitor around your chest. Plus a whole host of other devices, such as power meters. This might not seem important to you today. But what if you decide you want a cadence and speed sensor or a heart rate monitor in six months’ time, and you’ve gone and bought a cheaper bike computer, so that the extras are not available without buying a whole new bike computer? The good news is that both the Garmin Edge 520 and the 25 offer ANT+ connectivity. So on this one, the two devices are equal. 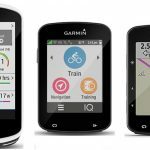 What are the DIFFERENCES Between the Garmin Edge 520 vs 25? Rather than talking about everything they have in common, this comparison of Garmin Edge 520 vs 25 will cut straight to the chase: What are the DIFFERENCES between the Garmin Edge 520 and the 25? 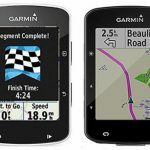 After all, it is the differences that are key when deciding if you should pay the extra money for the Garmin Edge 520. How Many Sensors Can You Connect to with the Garmin Edge 520 vs 25? This is an important difference between the two devices: a difference that might be a deal breaker for some. The Garmin Edge 25 can only connect to two sensors, while the 520 can connect to an unlimited number of sensors. Why does this matter? Well, if would not matter at all if you own one bike and two sensors (say, a heart rate monitor and cadence sensor). But what if you have three bikes, and they all have their own cadence sensors? This could be a major problem for those with several bikes. If you have a few bike and sensors, the Garmin 520 will just detect which sensors you are using today, and record those ones. Garmin offers very sophisticated Garmin Vector 2S Power Meter Pedals to accurately measure how much power you put into your pedaling. These can communicate with ANT+ technology to some bike computers. 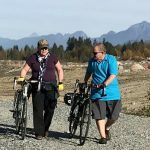 In this case – they can communicate with the Garmin Edge 520, but not with the Garmin Edge 25. A real problem if you train with power meters – not a problem at all if this is the first time you ever heard of a power meter! The Garmin 520 offers the ability to connect to real-time segments from Garmin Connect, Strava, and other apps too. With the Garmin 25, you are limited to only Garmin Connect segments. That is, you cannot use Strava segments with the Garmin Edge 25. This is likely to be a deal breaker for anyone who loves Strava segments. And they are a whole lot of fun. Read more about Strava here – it’s not just a training tool, it’s a database linked to an app, and it’s creating a huge body of knowledge about where cyclists really ride, which ultimately could be used to make better cycling routes for all. You can still use your Edge 25 with Garmin Connect Real-Time segments, which enable you to create or find segments at connect.garmin.com, download them to your unit, and set up in-ride competitions. These segments are really fun. You download the desired segment to your Garmin. Typically it’s a very short course that people like to compete on (virtually). As you approach the start of the course, the Garmin gives you a Countdown, and then signals “Go!” As you cycle along the course, the Garmin keeps you constantly informed on how you are doing. For example, you have 500 feet to go, and you are 8 seconds behind the segment leader – can you pump up the power and own the course? You can choose to compete against overall segment leaders, or against your own connections. Strava segments essentially work the same way, but there are many more of them, and a bigger community of cyclists are using them. Many elite cyclists swear by Strava segments. If that’s you, a Garmin Edge 25 is not going to cut it. Note however that you have to be a Strava premium user to download segments. That will cost you around $50 per year – worth every cent, in my opinion. The Garmin Edge 520 (but not the 25) can be connected to a tiny Garmin remote control with three buttons. One is for marking laps; one is for scrolling between data pages as you ride; and the third can be programmed for a function that you find important. You can attach this to your handlebars in the same way you attach your Garmin – and you don’t have to worry much about rain or batteries, because it is waterproof to 50 m and the battery should last for over a year. Why would you want a remote control for your bike computer? Primarily, a remote control will be useful for cyclists doing intense biking (such as downhill mountain biking, or racing) who cannot safely remove their hands from the handlebars. The Garmin Edge Remote control will cost you an extra $50. On the Garmin Edge 52o only (not the 25), if you have Di2 Dura-Ace 9070, Ultegra 6870 Di2, or Ultegra 6770 electronic gears, you can buy a Shimano wireless transmitter to plug in. It will then transmit gearing data (privately) via ANT+ to your Garmin Edge 520. So you can see which gear you are in, displayed on your unit. What is the Point of Being Able to see Which Gear I am in? You might ask (as I did), “What is the point of being able to see which gear I am in?” Well, this is obviously a feature for elite cyclists, not average cyclists. But for anyone, it is nice to know what gear you are in, and all the more so when you are using expensive electronic gears. However, the point is that this information will give you a brand new metric to analyze! It could well give you ideas about how to improve your performance, if for example you identify that the reason you got tired at the halfway mark of your latest ride was because you had not shifted into the most efficient gear in good time. If navigation is your primary consideration, then you should be looking at a Garmin Edge Touring or a Garmin 1000. There is a full review of the Garmin Edge Touring here. And there’s an in-depth comparison of the Garmin Edge 1000 here. However, if navigation is NOT your primary consideration, either the 520 or the 25 should be fine. The 520 comes with a basic map, and you can download extra Open Streets maps onto it, if for example you are going on vacation. However, the Garmin Edge 25 has no maps, and you cannot download any maps either. On this score, the Garmin Edge 520 is clearly much better than the 25. 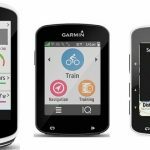 However, neither the Garmin Edge 520 or the 25 offers the advanced navigation features of the Garmin Edge Touring or the Garmin 1000. On the Garmin Edge Touring and the Garmin Edge 1000, the turn-by-turn navigation directions are excellent. On both of them, you are alerted by beeps and a countdown when a turn is coming. As with a car GPS, your upcoming route is highlighted, and the unit will recalculate if you deviate from the route it has planned. Both of these bike computers record indoor rides. However, the Garmin Edge 520 has what I think is quite a spectacular new feature – you can recreate recorded outdoor rides on your compatible indoor trainer. In other words, it you recorded a ride with a series of large hills, your indoor trainer will recreate that by increasing resistance accordingly. I don’t actually use an indoor trainer, but if I did, I think this could add a lot of variety and fun. The Garmin Edge 25 does not have this advanced feature. For many, this is the key difference between these two bike computers. With the Garmin Edge 520, you have a very sleek and futuristic color display, and you can customize it to your heart’s content. You can have up to 10 fields per page and up to 5 customized pages, so you should be able to set up a configuration that suits you perfectly. With the Garmin Edge 520 (right), you have a very sleek and futuristic color display, and you can customize it to your heart’s content. You can have up to 10 fields per page and up to 5 customized pages, so you should be able to set up a configuration that suits you perfectly. With the Garmin Edge 25 (left), you are very limited on your tiny black and white screen. You have just 3 fields per page and only 2 customized pages. With the Garmin Edge 25, you are extremely limited on your tiny black and white screen. You have just 3 fields per page and only 2 customized pages. Perhaps most importantly, you cannot put the heart rate field onto either of the two pages. The Heart Rate data occupies its very own page. You can scroll to it while you are riding of course – but you cannot have it on the screen constantly, along with whatever other data fields you consider important. For example, my top choices would be speed, distance and heart rate, but you cannot do that on the Garmin Edge 25. The Garmin Varia Vision is the first in what is sure to be an explosion of new wearable technology – a HUD (Heads Up Device). 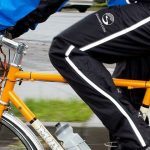 In a nutshell, it enables you to look at information from your Garmin Edge bike computer or your Garmin Edge Varia radar – WITHOUT taking your eyes off the road to look down at your handlebars. The information is projected on a tiny screen that connects to the side of your cycling glasses, so that you can focus on the road all the time, and just glance over to the side to read your data. The Garmin Edge 520 is compatible with the Garmin Varia Vision, but the Garmin Edge 25 is not. This model introduces advanced performance and power analysis, including new Time in Zone, FTP (Functional Threshold Power) tracking, cycling-specific VO2 and recovery and cycling dynamics. This is not offered on the Edge 25. This would only be a problem if you knew what these metrics are, and want to use them! Both the Garmin Edge 520 and the 25 are excellent bike computers, and both are just loaded with features. For most average cyclists, the Garmin Edge 25 will probably be more than good enough, offering a lot of power in its tiny frame. You can use it to record your rides, see how fast you are going, check on your heart rate while cycling, set heart rate alerts, create workouts based on heart rate, distance, and calories, follow courses, and all kinds of other fun things too. AND it has fast satellite acquisition due to the extraordinary fact that this relatively cheap bike computer is enabled for both the GPS and the GLONASS satellite systems! Choosing between them really comes down to whether you can live (happily) without the extra features you get for the extra money with the Garmin Edge 520. For example, if you regularly cycle on three different bikes with various sensors and a heart rate monitor, the Garmin Edge 25 is probably going to drive you nuts, seeing as it can only be connected to two sensors. Of course, you will always wear the same heart rate monitor chest strap, so that is not a problem. But what are you going to do about your various cadence sensors or speed sensors? It’s not feasible to use the same ones and keep switching bikes – it’s too fiddly a job. Perhaps the most likely deal breaker will be the data display pages. With the Garmin Edge 520, you have a very sleek and futuristic color display, and you can customize it to your heart’s content. With the Garmin Edge 25, you are extremely limited on your tiny black and white screen. Perhaps most importantly, the Heart Rate data occupies its very own page. 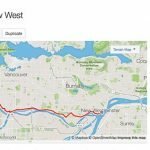 You can scroll to it while you are riding of course – but many cyclists like to see it all the time, along with other data that they consider important, such as speed, ascent, etc. If this is you, the Garmin Edge 25 is going to get really annoying, really fast. On the other hand, you might enjoy scrolling, or have no interest in watching your heart rate every minute. What do YOU need and value? It comes down to what you need and value, and how much you are prepared to pay for it. It’s a tough choice, but somebody’s got to make it! If you have read this far and decided which one you want to buy, please be kind enough to click on your choice below. A small commission will then repay me a little for the many hours of research that I spent on this post. Thanks! Note: if you do decide to go with the Garmin Edge 520, Amazon’s bundle deal is really good, offering the Edge 520, a heart rate monitor, a cadence sensor, a speed sensor, an extended out-front mount and a standard mount, for not a lot more than the base Edge 520.